Real Estate Agency & property Management. Extremely well established and respected Spanish SL company trading as a Real Estate Agency, it was formed in 1997, by the current owners. 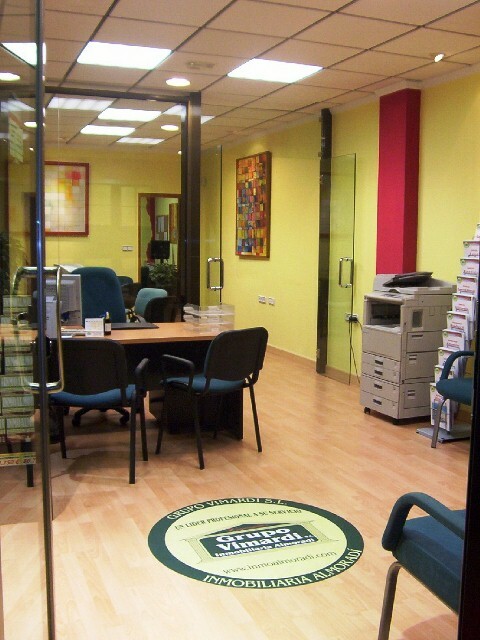 Fully fitted and equipped 240 sqm offices situated in a very good location with passing trade. It�s located in a perfect area with very little competion, as they are well known for their knowledge, experience, and professionalism in handling all the details of a successful real estate transaction. The current owners of the Company have spent significant energy and resources to bring the Company to its current level of success. The business has one of the largest portfolios of properties and can offer a completely independent viewpoint on the best property options in that part of Spain. More than 1,000 properties. It has established collaboration contracts with all of the major developers in the area. An Established Estate Agent With more than 12 Years Experience � Excellent Location - Busy Town � All Office Materials, Computers and Administrative System Included � High Bank Credit. Bi-lingual company, having both, Spanish and English costumers. Is priced at an exceptional price and must not be missed out on. Call today to get further information or make an appointment.